I never knew one could grill oysters this way until I’ve tasted them in New Orleans. 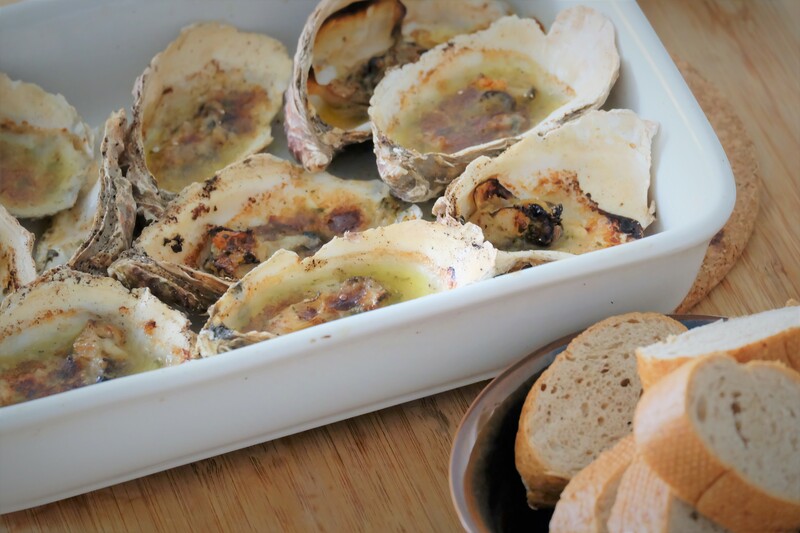 To someone who is used to the French way of eating oysters – meaning ‘raw’, grilling them seemed almost like a sin. But I was completely wrong. There are as many recipes as there are oysters. This version below is a reductive one. I personally think adding too much to the sauce makes it difficult to taste the sweetness of the oysters paired so well with the butter. So the things which I have discarded are: Creole seasoning, thyme, oregano and Worcestershire sauce. 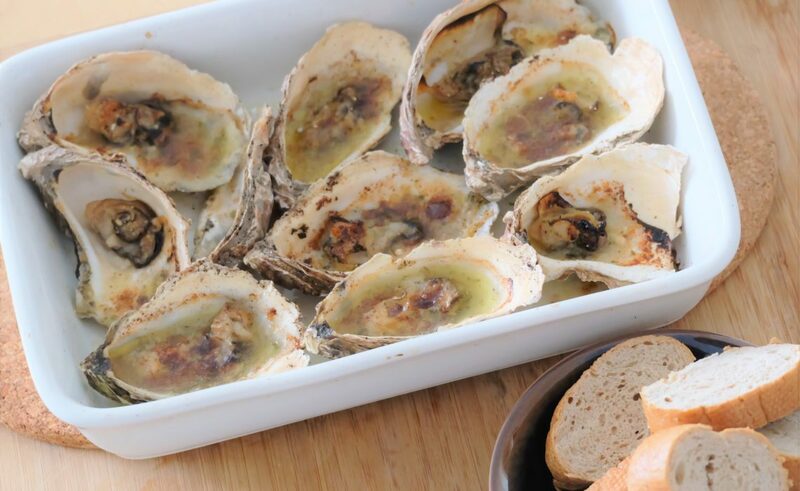 If you feel these are essential, try out this version of the Acme charbroiled oysters instead or build on this by adding other herbs or spices. Pre-heat up your oven with the top grill at 230 degree celsius. In a small saucepan over low fire, melt the butter and whisk in the rest of the ingredients. Set aside. 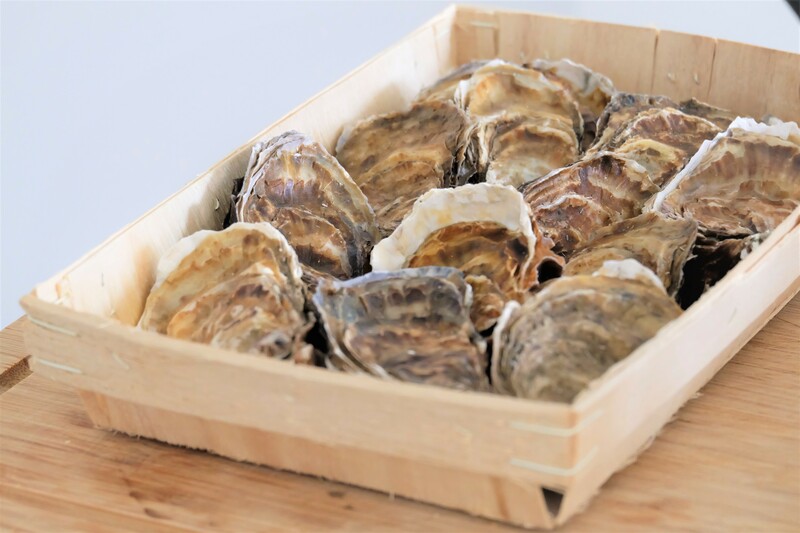 Once the oven is ready, place your oysters in a tray and place them under the grill for 3 minutes to let them cook in their own juice. Take them out and place the sauce over every oyster, place them in again for about 7 minutes or when the sauce starts bubbling. Take them out again and sprinkle the grated Romano cheese and minched parsley and place them under the grill for another 1 minute. Take them out and serve them with French baguette and lemon wedges. If you like this recipe, bear in mind the best taste is still in New Orleans! There, you get to taste fresh Gulf oysters and see them charbroiled over a fire grill! Thanks for this recipe just returned from New Orlean’s had the charbroiled oysters two days at Felix’s. 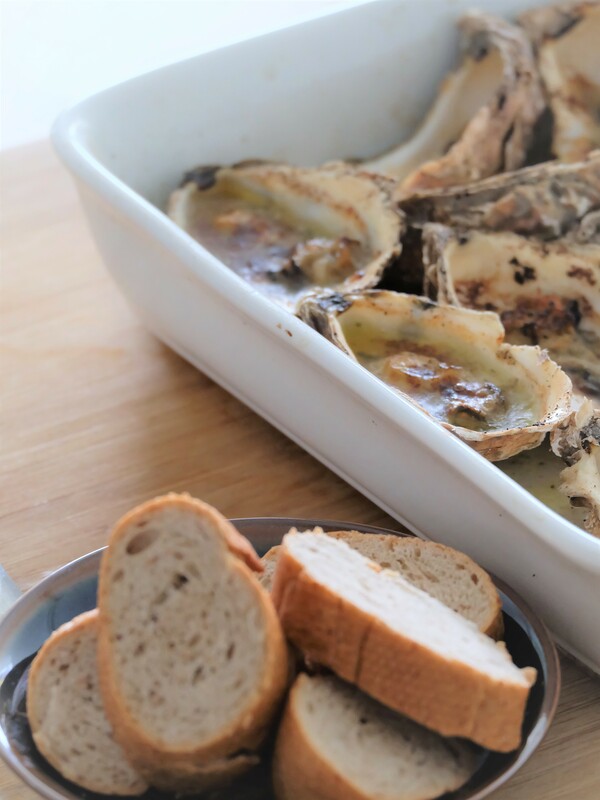 I am still craving them I just brought some oysters I will try this recipe and technique!